For almost 80 years, the Boston Symphony Orchestra has ditched the city in July and headed out to the Berkshires for a season at Tanglewood. 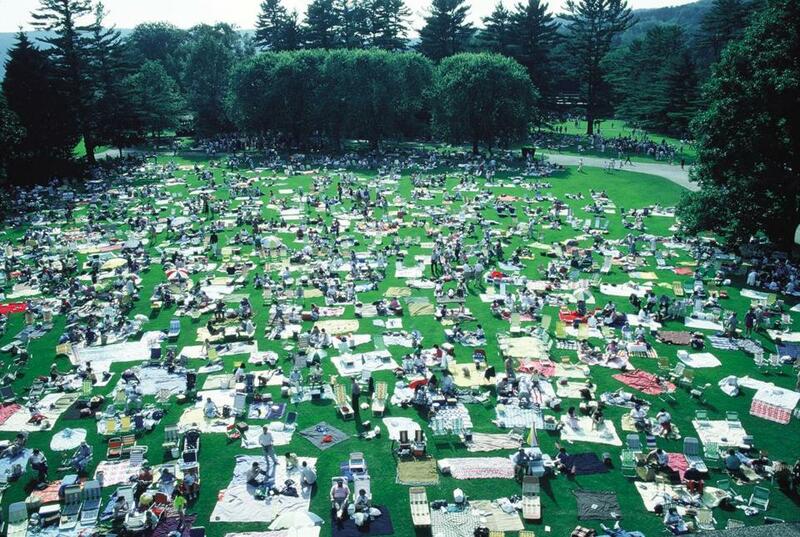 The audience, while they have listened to world-renowned music and musicians, also have over the years raised picnicking to an art form. 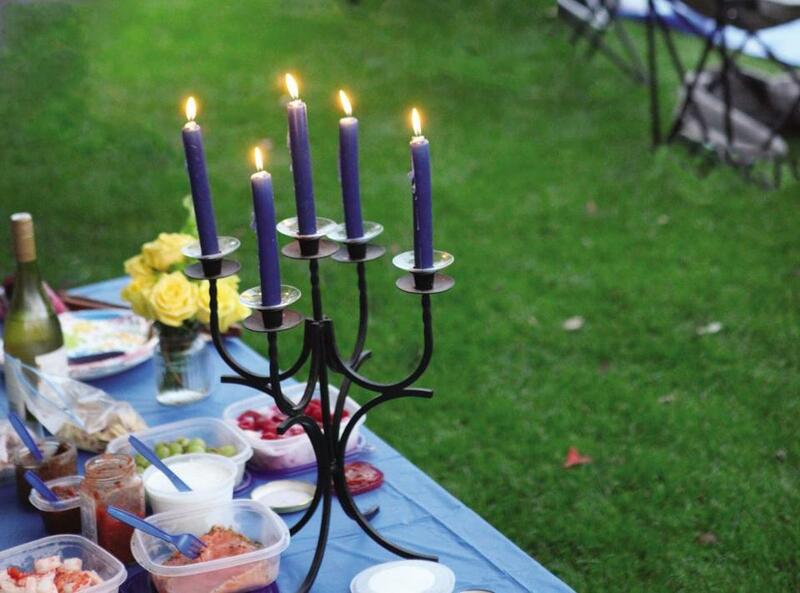 From candelabras flickering in the night to custom cocktails made with artisanal local liquor, the picnic scene at a concert in Lenox is something to behold. 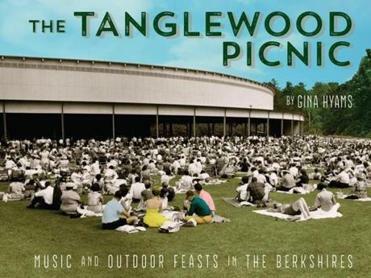 Author and Berkshires transplant Gina Hyams, who became smitten with the Tanglewood picnic scene when she moved to the area 10 years ago from San Francisco, looks at the history and traditions of that unique part of the concert experience in her new book, “The Tanglewood Picnic: Music and Outdoor Feasts in the Berkshires” (Muddy Puppy Media, 112 pp., illustrated, $19.95. The book is available at Tanglewood and at several gift shops, bookstores, and inns in the Berkshires. It is also available at Amazon.com). The book includes 150 photos pulled from all sorts of sources, from the BSO archives to audience members’ scrapbooks, and is sprinkled with anecdotes throughout. Hyams also compiled a comprehensive supply list and a dozen favorite recipes from longtime picnickers. A few of the more interesting items in her “Ultimate Tanglewood Picnic Checklist” (which is several pages long) include: candles (unscented — with the exception of citronella bug-deterring ones — because your favorite scent may not be to your fellow picnickers’ taste); aluminum foil or pie tin (to place under your candles, so the wax doesn’t burn a spot in the lawn); decorations (pink flamingos, balloons, solar lanterns to hang from a tree, etc. ); flowers (and a vase and water); board games (chess, checkers, backgammon, etc. ); and musical instruments.